Towers font is unique looking typeface was originally created as a school assignment at the University of Industrial Art & Design Helsinki. The year of creation for this font is 2006. 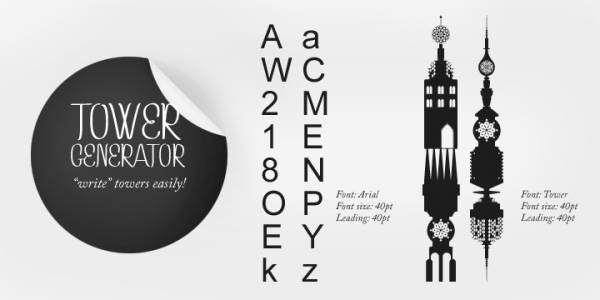 Tower can be defined as a highly experimental dingbat font. It can be used for writing varied types of towers and a never seen before style. All you need to do is set font size and lead the same throughout. Try and experiment with the font as much as you can. All in all, an awe inspiring never seen before font.